Dornoch Historylinks Image Library - Photograph of group of dancers outside Briarfield. Photograph of group of dancers outside Briarfield. 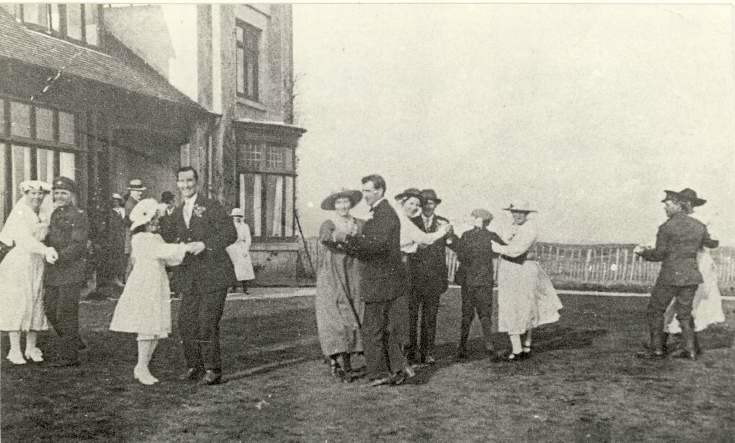 Photograph of an Embo Wedding at Briarfield Dornoch during World War One.The photograph shows couples dancing outside on the lawn, some of the dancers are in uniform. Great to see our house in 1920. Any one else got any more photos of the house, we would love to see them? The Tulloch family.